Expired 10mo ago . Last validated 11mo ago . Used 7 times. 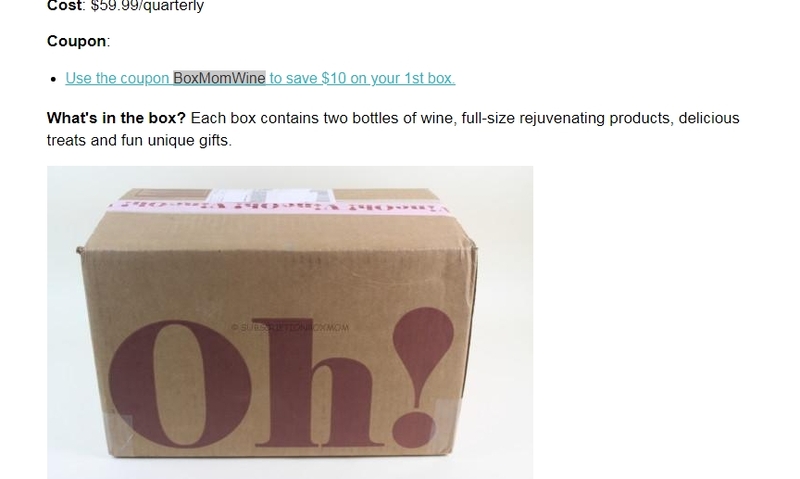 Laura DeLuca Use the coupon BoxMomWine to save $10 on your 1st box. Simply enter the code during the checkout process to apply this discount. 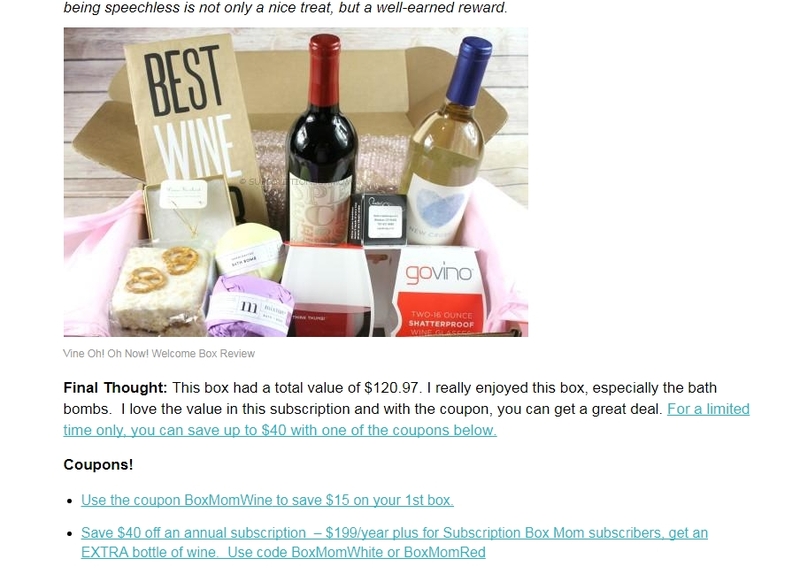 Laura DeLuca Use the coupon BoxMomWine to save $15 on your 1st box. 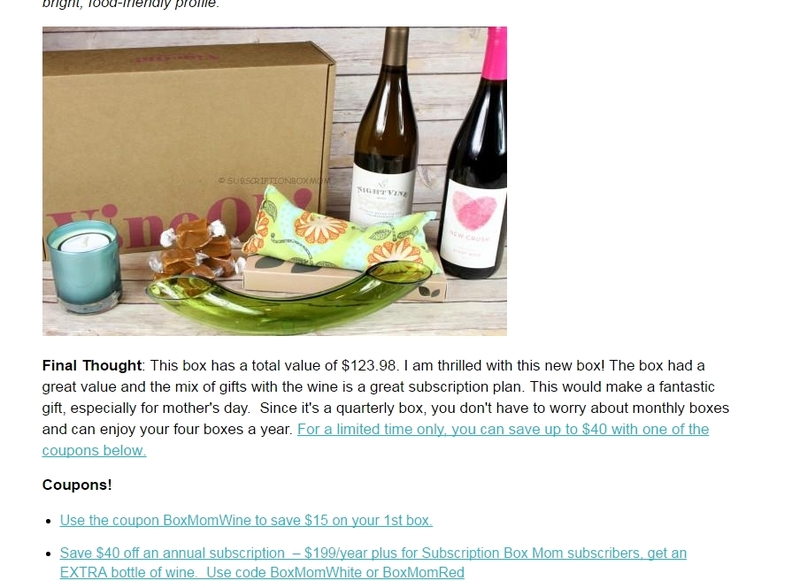 Save $40 off an annual subscription – $199/year plus for Subscription Box Mom subscribers, get an EXTRA bottle of wine. 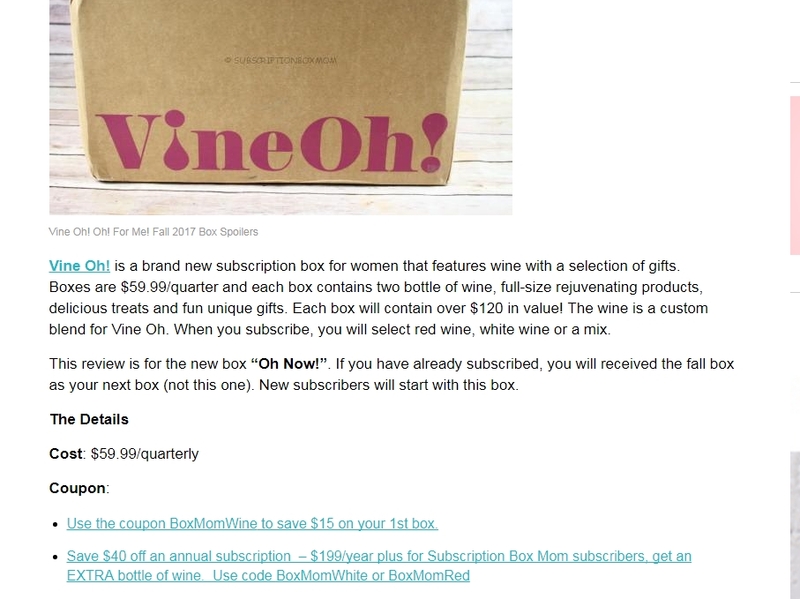 Use code BoxMomWhite or BoxMomRed. 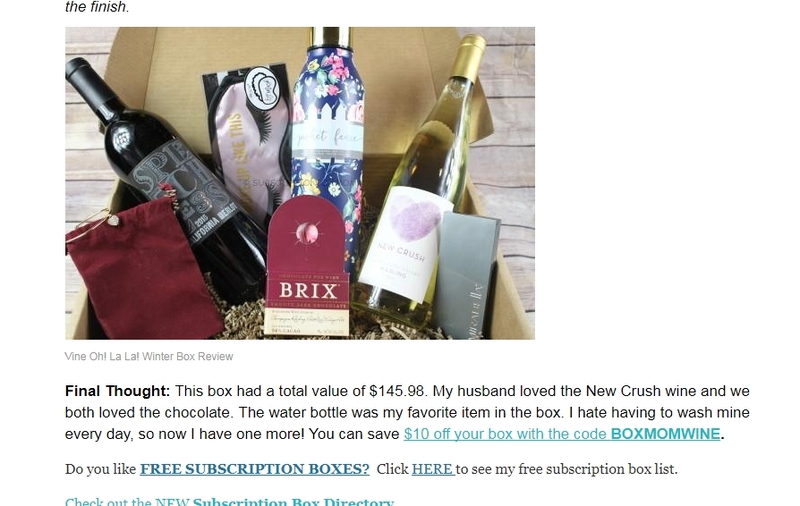 Laura DeLuca Use the coupon BoxMomWine to save $15 on your 1st box. Only valid on your first purchase from this store.